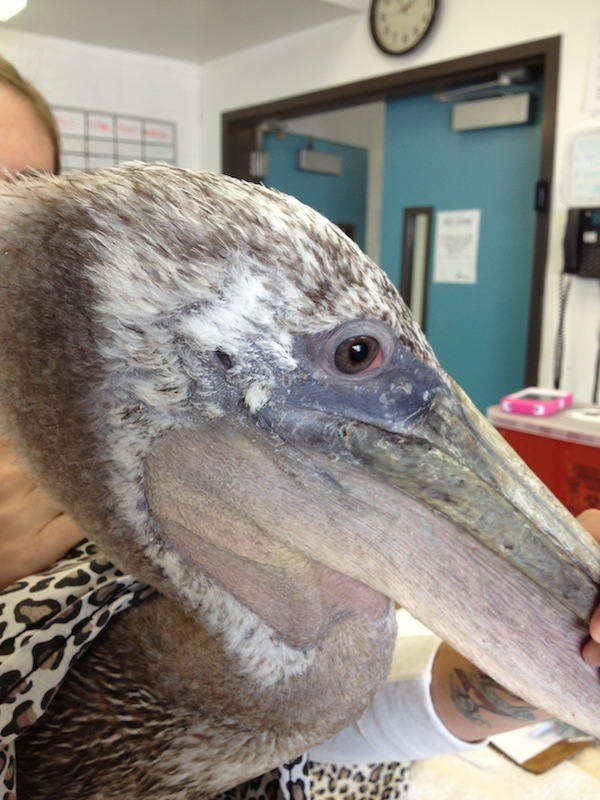 Caspian Terns with multiple fractures, Brown Pelicans with horrendous sea lion bite injuries, an oiled Great Blue Heron suffering from resulting burns on one-quarter of its body — these are just some of the avian patients over the past year in the care of Dr. Rebecca Duerr, our staff veterinarian. 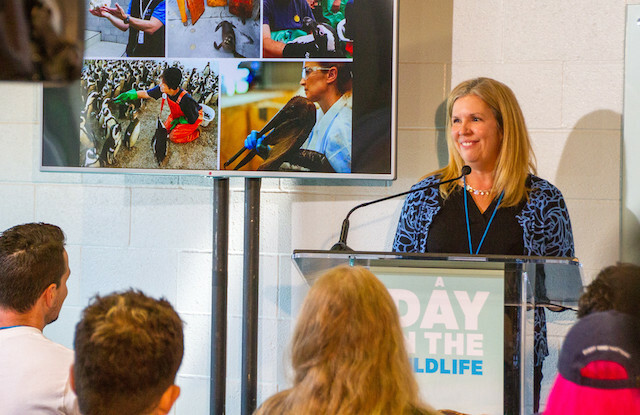 In June, we were thrilled to congratulate Dr. Duerr for completing her PhD studies and contributing invaluable research to the complex field of oiled wildlife care. For her dissertation, she focused on assessment of nutritional depletion in birds affected by petroleum. 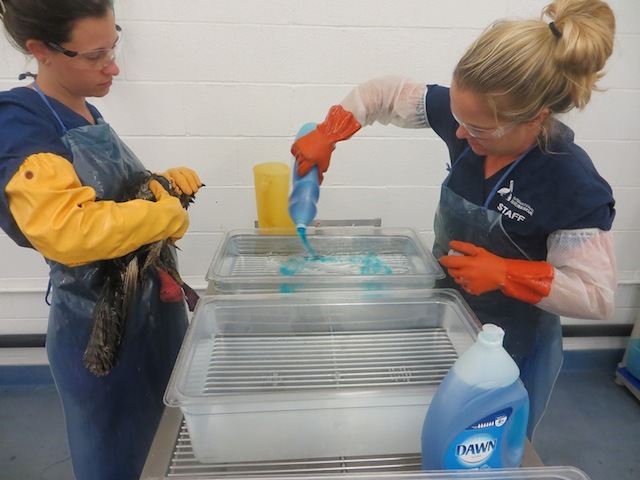 Oiled birds endure extreme stress during the wash process, and as Dr. Duerr’s research has showed, most of these animals arrive at wildlife facilities in an extremely debilitated state, requiring much-needed nutrition, hydration and medical care prior to the procedure. 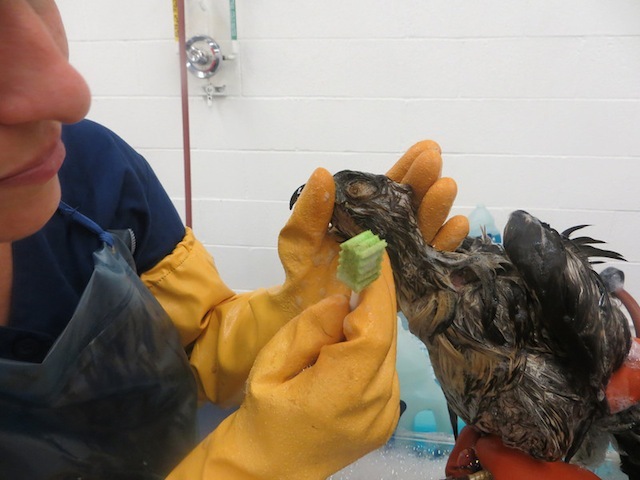 When there are hundreds of birds in care during oil spill emergencies, what a response team feeds these compromised animals can be a life-or-death decision. Dr. Duerr recently gave us the backstory on her dissertation, how she got involved with wildlife and her favorite part of the job as an avian vet. For those of you who are mulling a radical career change, read on! Her story may provide you with a little motivation to do so. 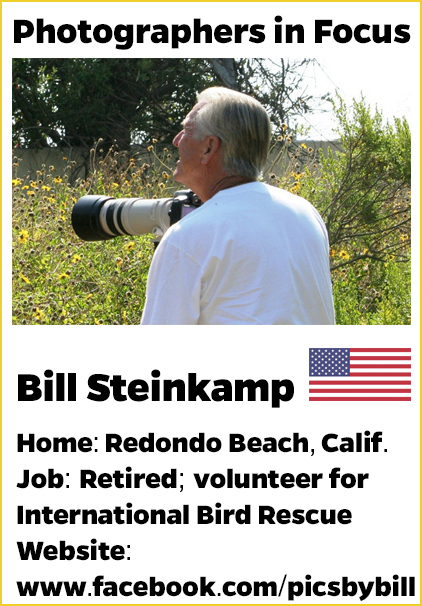 How did you get your start in wildlife rehabilitation? 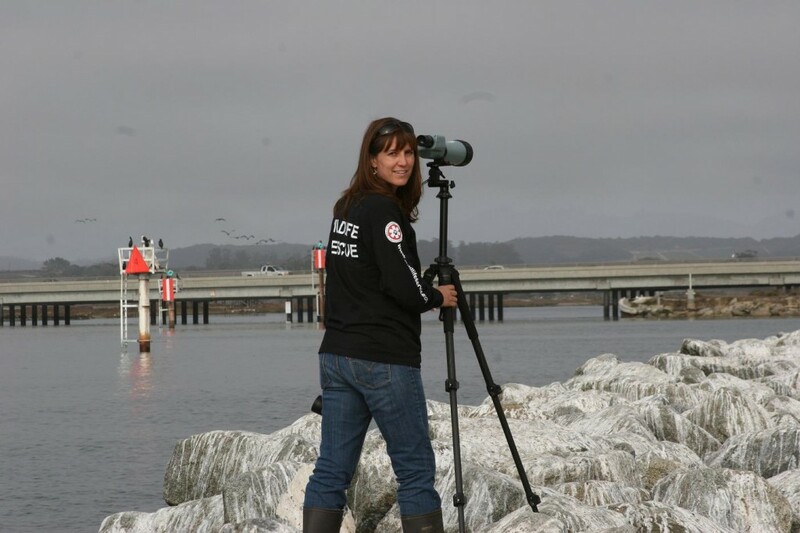 Dr. Duerr: My husband and I started volunteering at The Marine Mammal Center (TMMC) in Sausalito in 1988 and WildCare in San Rafael, CA in the mid 1990’s while working as jewelers. Pretty much all of our free time was taken up by working with wild animals in one capacity or another. But then we had the opportunity to move to Los Angeles and work as artisans making science fiction movie and TV hand props. 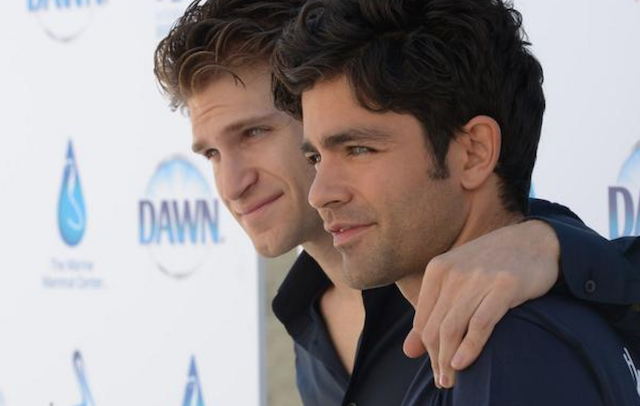 What could be cooler than working in Hollywood, right? Off we went. Among many other projects, we made communicator badges and phaser rifles for Star Trek 8 and Deep Space Nine, made the cigarette gag props from the end of the first Austin Powers movie, and I sculpted several original props for the movie Spawn, but we both really missed working with animals. We finally decided to go back to school and pursue being veterinarians while on the set of Starship Troopers for two weeks, dressing extras in the armor our company had built. I was bored out of my mind and ended up doing a math review book in the wardrobe trailer. We both enrolled at San Francisco State University and completed BS’s in Marine Biology on the way to applying for veterinary school. 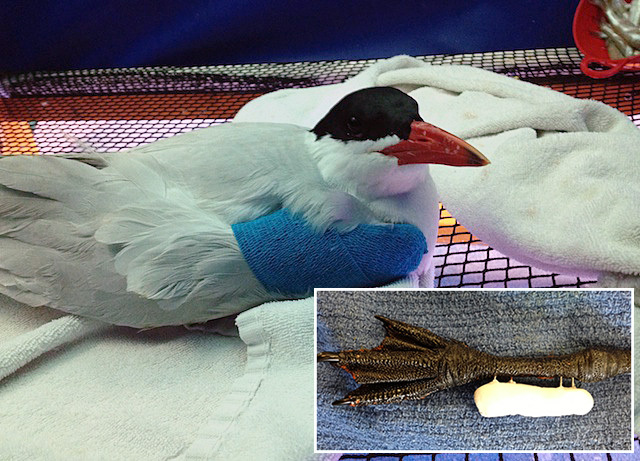 A Caspian Tern with multiple fractures, photo by Dr. Rebecca Duerr. 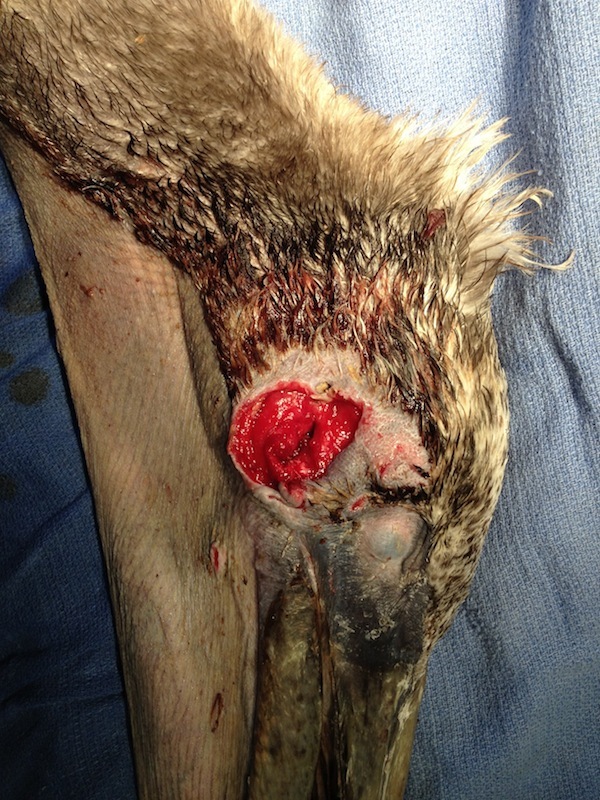 Inset photo: Orthopedic surgery on the tern’s left leg. 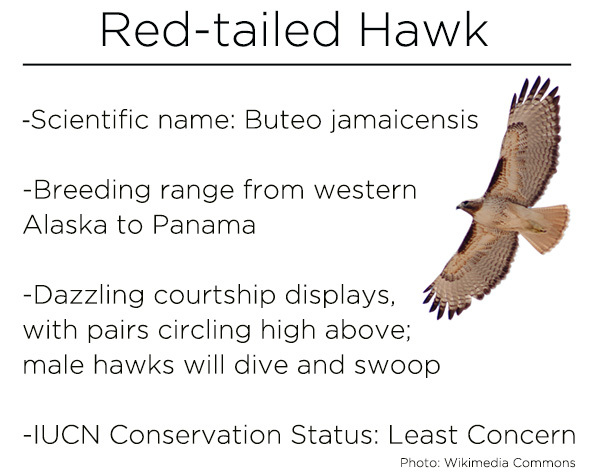 1) Bird species are amazingly diverse and completely fascinating! I decided I wanted to specifically become a wild bird vet. 2) Wildlife rehabilitation as a field is enormously larger than the marine mammal world — hundreds of thousands of animals go through the hands of wildlife rehabilitators every year in the US, and most are birds. 3) Raptors are wonderful animals but seemed to already get special attention from veterinarians — rehabilitators were often on their own in helping birds of other species. 4) There were very few published resources that explored or explained best practices for doing what wildlife rehabilitators do every day. I regretfully left WRI when Dr. Frances Gulland asked me to work for her at TMMC. 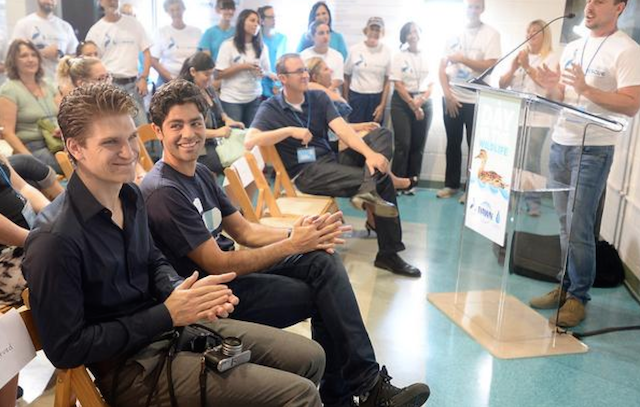 Her approach of studying the medical problems of rehabilitated marine mammals as a window into what is occurring in each species in the wild and the ocean as a whole, strongly caught my interest and forms the basis of many of my goals for my current work at IBR. I also became involved in wildlife medicine publishing while working at TMMC, and had the opportunity to act as an editorial assistant for the massive textbook Marine Mammal Medicine. I later wrote the seal chapter in a book called Hand-Rearing Wild and Domestic Mammals, for which I also co-wrote the pig chapter and helped edit several others for the editor, Dr. Laurie Gage. I thought there really needed to be a similar book for birds, and during the tail end of veterinary school I co-edited a book called Hand-Rearing Birds (2007) with Dr. Gage. I wrote four chapters and edited 22—handling the rehabilitation-oriented species while Dr. Gage managed the zoo-oriented chapters. Several International Bird Rescue staff members contributed material to the book, a 400+ page hardcover used as a staple reference text at many zoos and wildlife centers. Dr. Gage and I have also co-written chapters on the care of wild animal orphans for the 10th and upcoming 11th editions of The Merck Veterinary Manual. What was the focus of your PhD research? 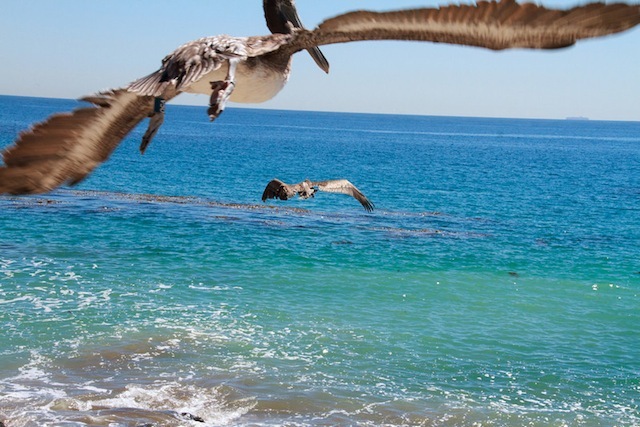 My dissertation is titled “Investigation into the Nutritional Condition and Digestive Capabilities of Seabirds during Rehabilitation in California”. 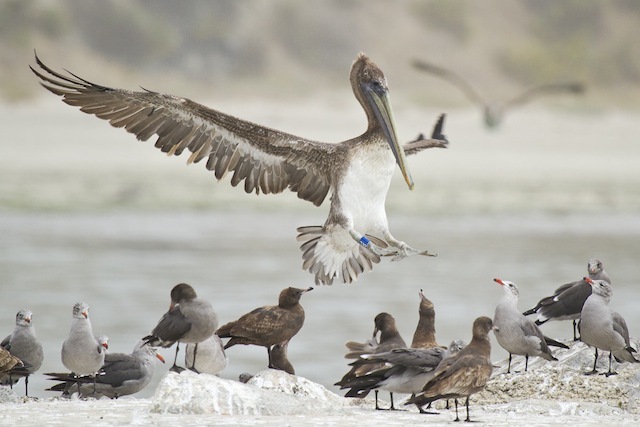 My work focused on identifying the extent of the starved condition of seabirds that enter rehabilitation and the energetic requirements of these animals. I evaluated the validity of various subjective and objective methods of body condition assessment against a gold standard. I also performed the first dietary trial in real oiled birds to explore what we should be feeding these animals when they come into care. The point of studying all this was to guide our delivery of appropriate supportive care when we are presented with hundreds of birds simultaneously. 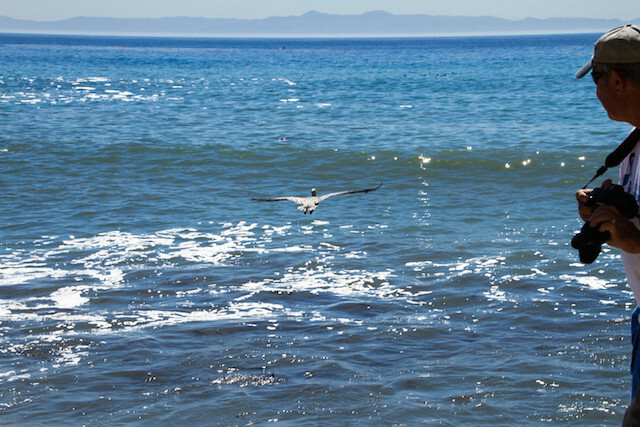 One major finding of my work was that birds that become oiled in the cold ocean off California are not merely dirty but otherwise-healthy birds that need washing. 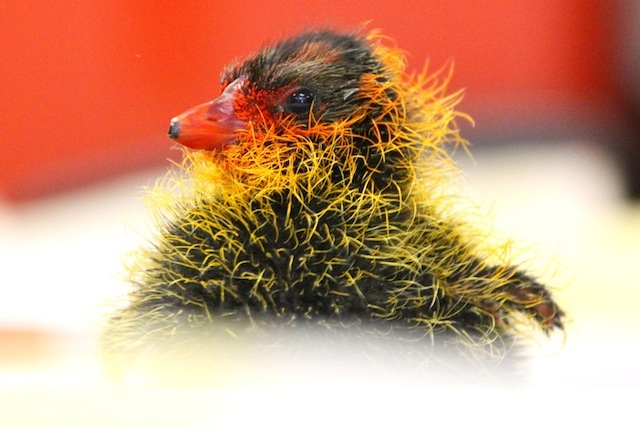 The average bird enters care in extremely poor condition. 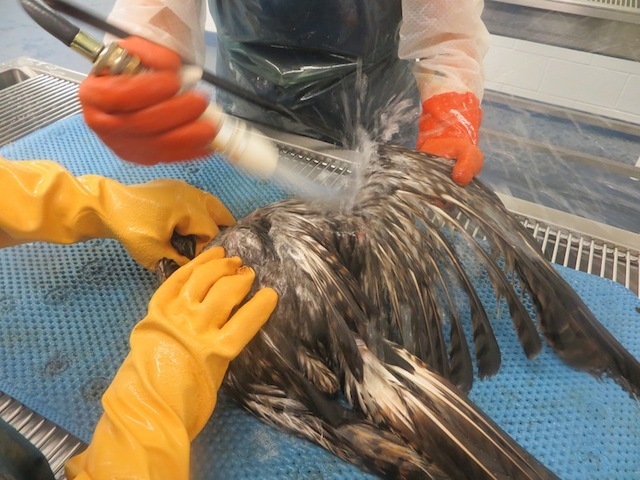 These birds are essentially on the verge of death from nutritional depletion, on top of having to cope with other nasty effects of oil like skin burns and corneal ulcers. 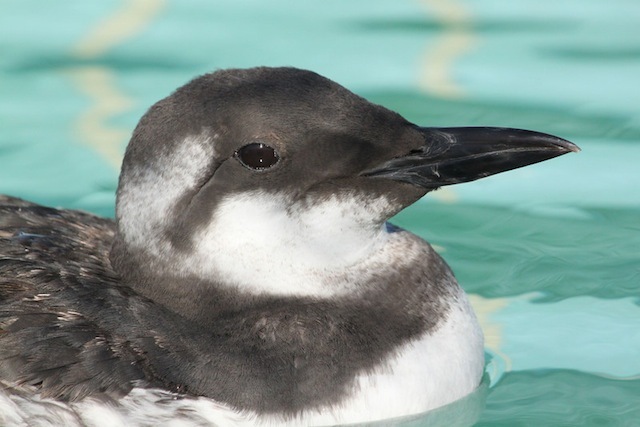 Another finding was that oiled Common Murres did better when fed lower fat diets, which is counter-intuitive. One would expect a starving animal to need as high a calorie diet as possible (e.g. 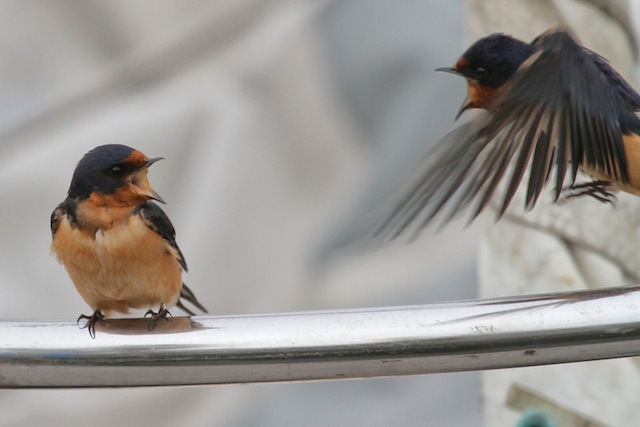 higher fat content), but historical efforts to feed oiled birds high fat diets to get more calories in them may have been counter-productive. Four papers from my dissertation are currently at various stages of readiness for publishing. 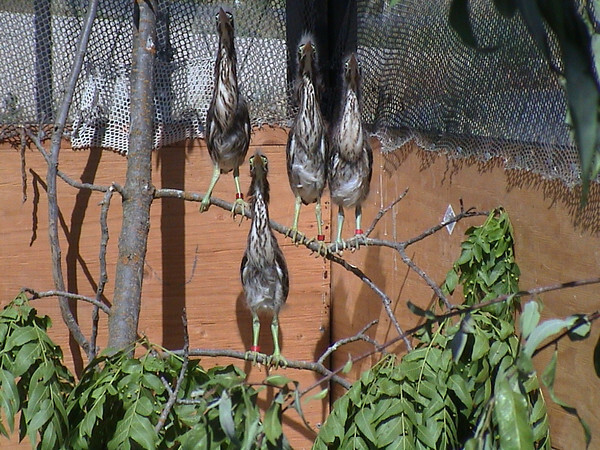 My master’s thesis was also on oiled bird care, and a paper from it should also be published within the next year. Sorry to say all five will be a bit dry for a general audience! How long did it take to complete the DVM MPVM PhD trifecta? Feels like a lifetime! 11 years total (4, 2, and 5, respectively). I grew up in Grand Forks, North Dakota, literally just about as far from the ocean as one can get! My dad taught biology at University of North Dakota when I was a kid. 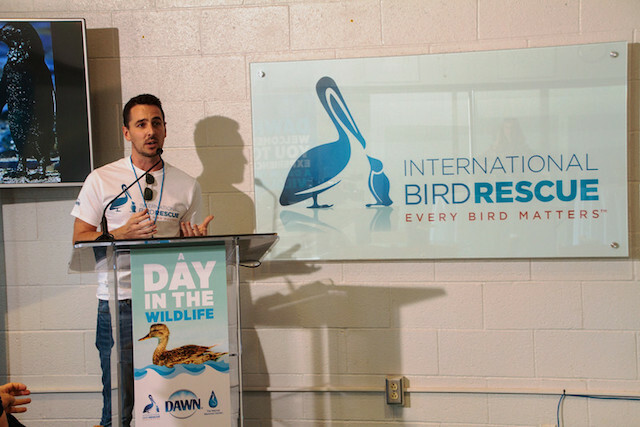 The best part for me is the excellent pairing of clinical medicine with endless opportunities for research on how to better surmount the particular problems of oiled and non-oiled aquatic birds. 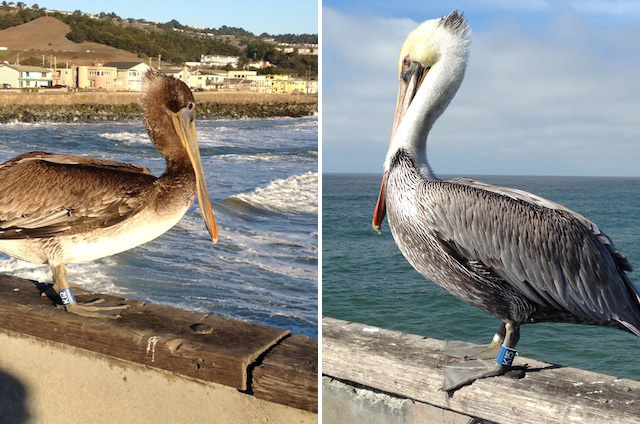 I also really enjoy avian orthopedics and repairing fractured wild birds, and seeing the amazing feats of healing Brown Pelicans are capable of! 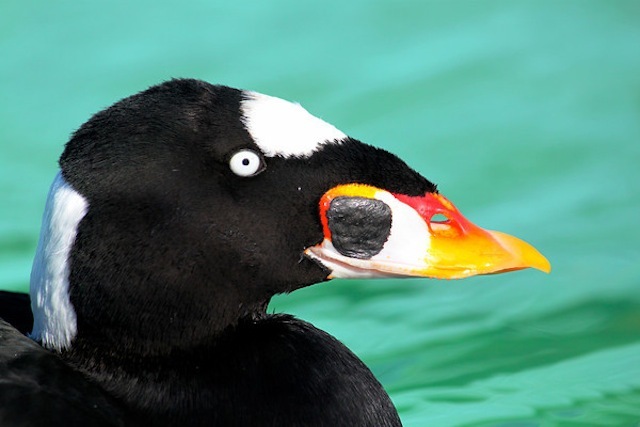 • The International Maritime Organization has banned the discharge of a chemical that caused the deaths of thousands of seabirds in England earlier this year. Polyisobutene, or PIB, is an oil additive that until recently could be legally discharged in restricted quantities during cleaning of a ship’s tanks or ballast water flushing, The Guardian reports. PIB was identified as the whitish slick that came ashore on beaches from Cornwall to Dorset in January and April. 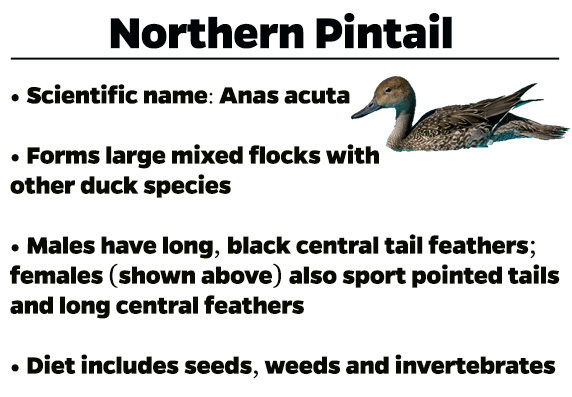 Update on Northern Pintail: Adopted! 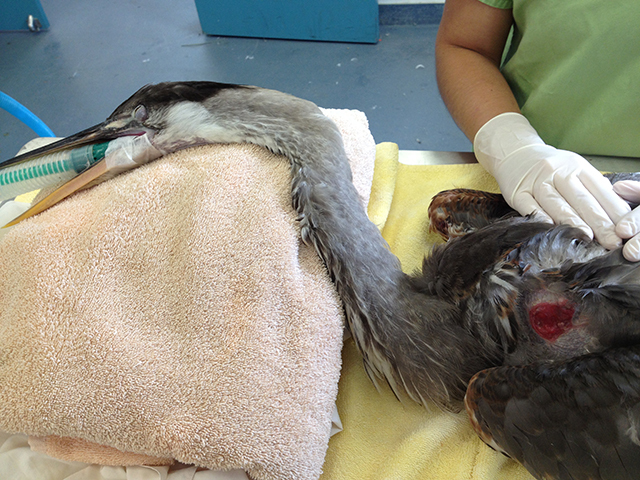 This past weekend, we brought you news of a female Northern Pintail that our Los Angeles center received after she had been struck by a car near The Queen Mary in Long Beach. An injury to her keel required surgical repair by our veterinarian, though the prognosis for a full recovery is very good. 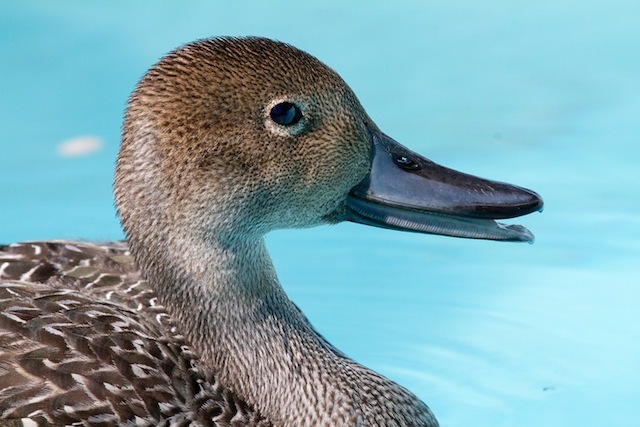 We’re happy to announce that our friends at The Queen Mary saw this story and have offered to symbolically adopt this pintail to support its rehabilitative care! 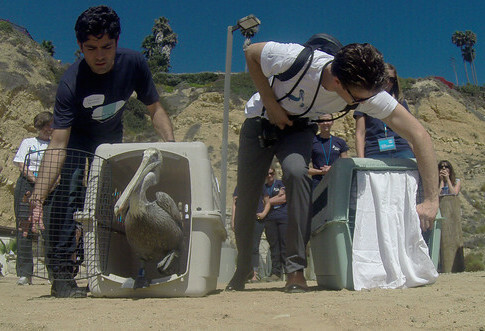 International Bird Rescue’s Los Angeles and San Francisco Bay centers depend on the support of local business to care for wild animals affected by the urban environment. 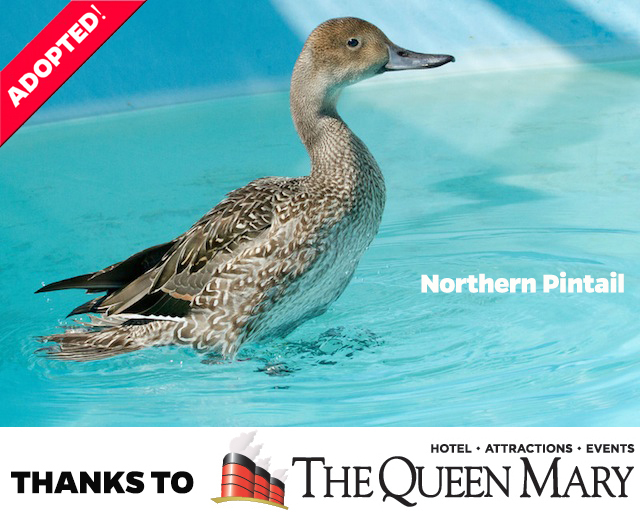 Queen Mary’s generosity is a wonderful example of this: Please give them a shout-out on Facebook for this Northern Pintail adoption! 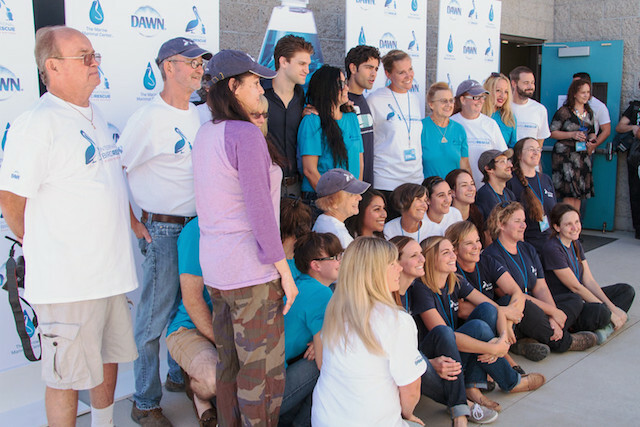 Are you a local business in Los Angeles or the Bay Area and interested in our symbolic adoption program? 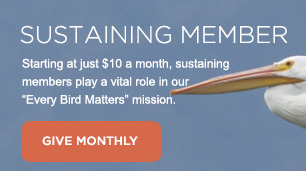 Email us and we’ll contact you personally about this wonderful program for local wildlife in need. 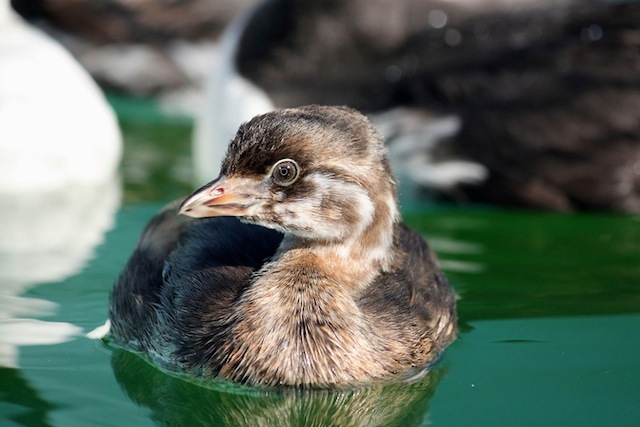 Two bird species in care this week at our Los Angeles center have “northern” in their names — one a seabird, the other a dabbling duck. 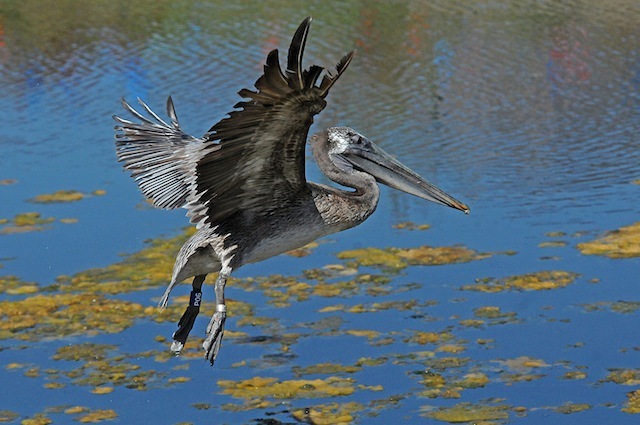 Resident volunteer photographer Bill Steinkamp photographed both during a recent visit. 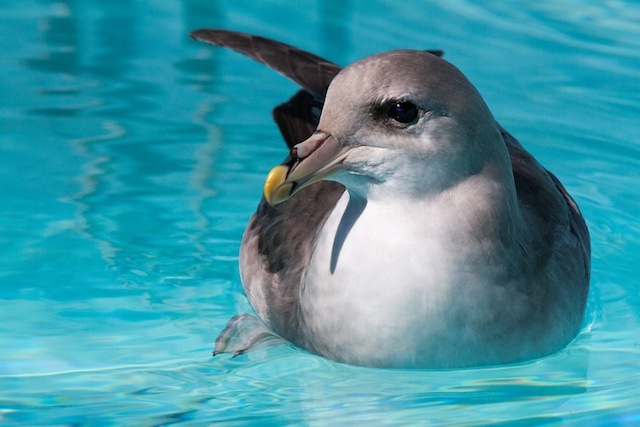 The Northern Fulmar shown above was admitted cold and weak to our colleagues at California Wildlife Center in Malibu. 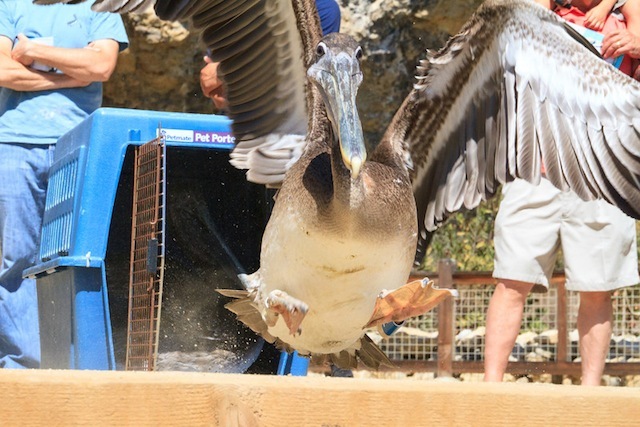 At transfer to our Los Angeles facility, the bird had an extremely swollen and bruised left leg with a strong possibility that part of the foot might die due to impaired circulation, and an infected tendon on the middle toe of the opposite foot. The infected tendon was surgically removed and the left leg continues to improve. Our veterinarian remains guardedly optimistic. 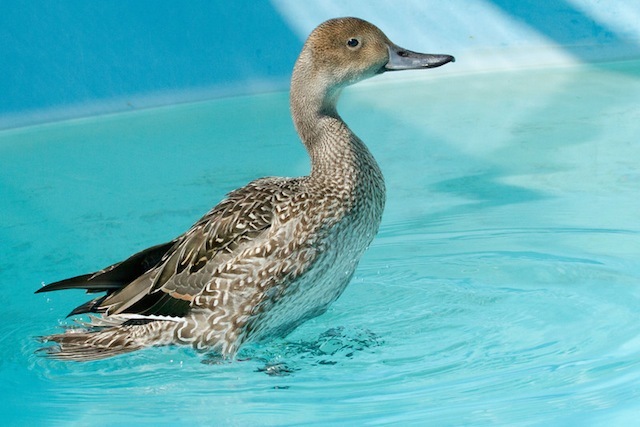 Also in care is this female Northern Pintail. She was struck by a car near the Queen Mary in Long Beach, and was transferred to us after spending some time at a local veterinary clinic. She had an open pressure ulcer on her keel that required surgical repair by our veterinarian, and many toe abrasions that are healing well now that she is able to be housed in the water. 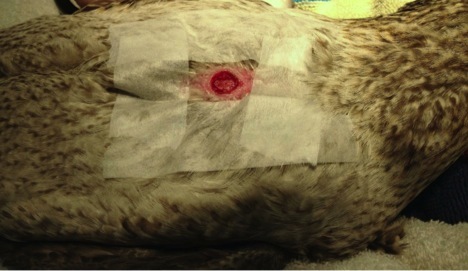 Images below include her keel lesion during pre-surgical prep. 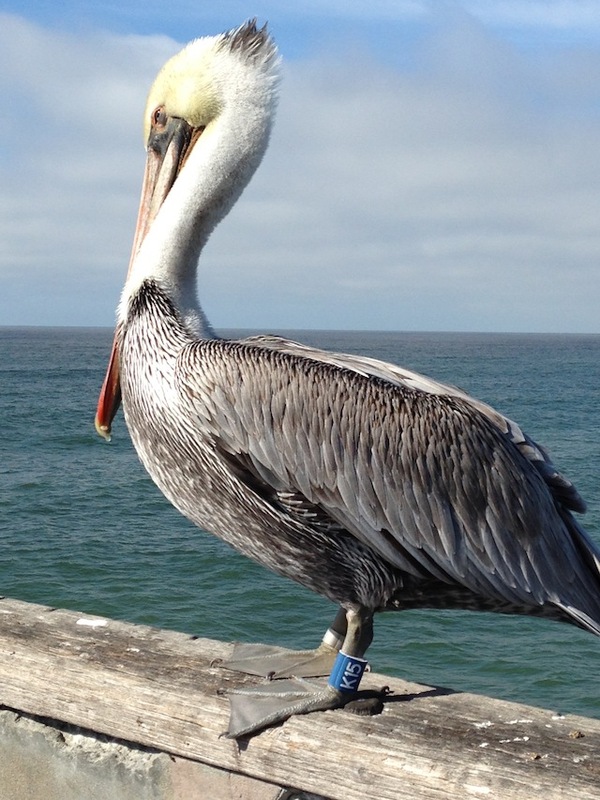 Barring complications, this bird’s prognosis for a full recovery is very good. 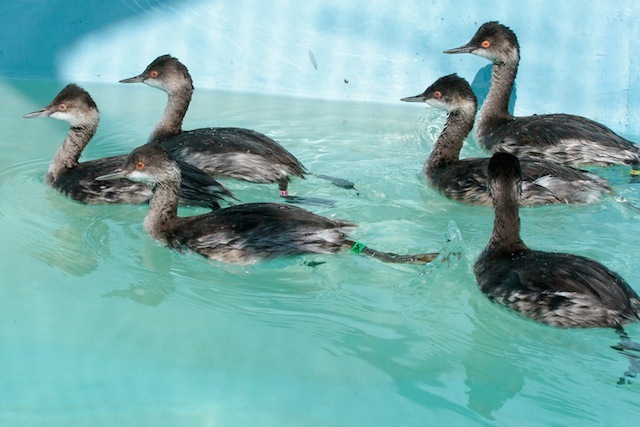 Check out the latest count of birds in care at International Bird Rescue’s Los Angeles center here. Thanks to Dr. Rebecca Duerr and Neil Uelman for the updates on these patients. 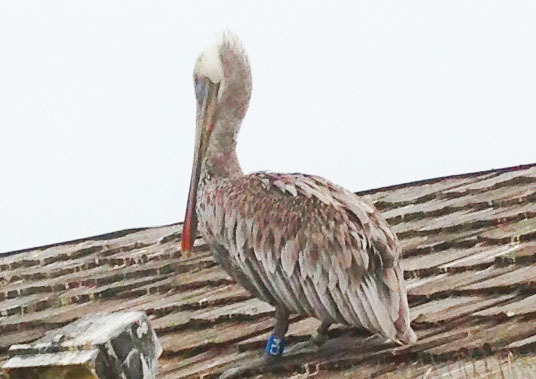 Update: The Santa Cruz Sentinel has covered this cruelty incident, read the article here. 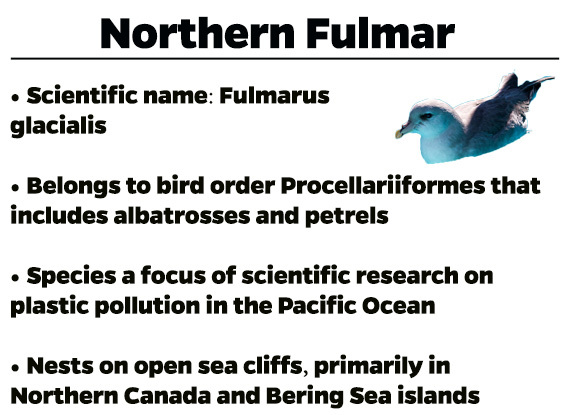 With a slender, downturned bill, a black crown during breeding season and a graceful wing shape in flight, it’s easy to see where the Elegant Tern got its name. Unfortunately, the tern you see here was the target of very inelegant human cruelty, and now has a bullet lodged in its right shoulder. 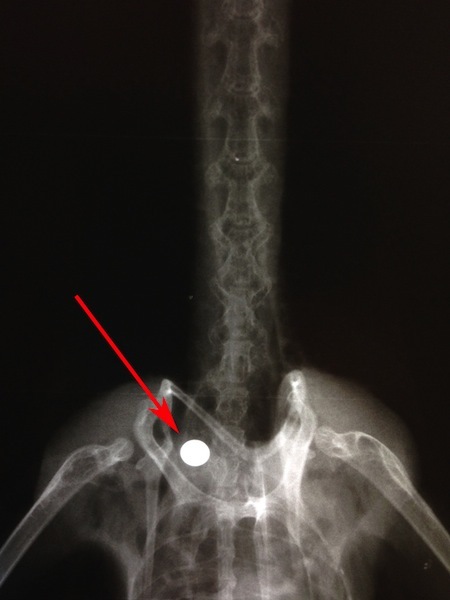 Earlier this week, our San Francisco Bay center received into care this Elegant Tern, found injured on a beach in Santa Cruz, Calif. X-rays confirmed the presence of the bullet, shown here. 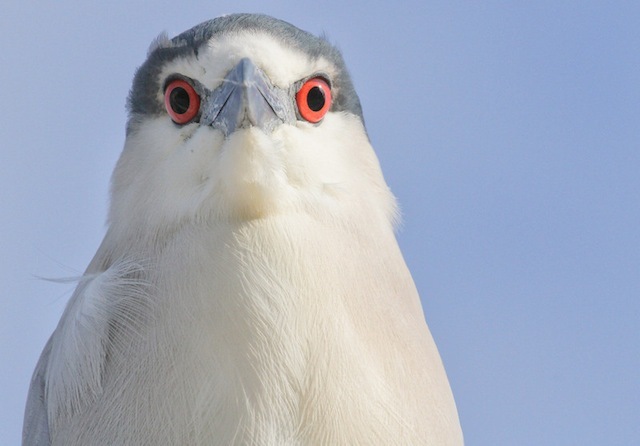 These animals are considered a near-threatened species for their highly restricted breeding distribution: More than 90% of all Elegant Terns nest on the small island of Isla Rasa off the coast of Mexico’s Baja California. But we are pleased to report that as of this post, the bird is doing well in care. 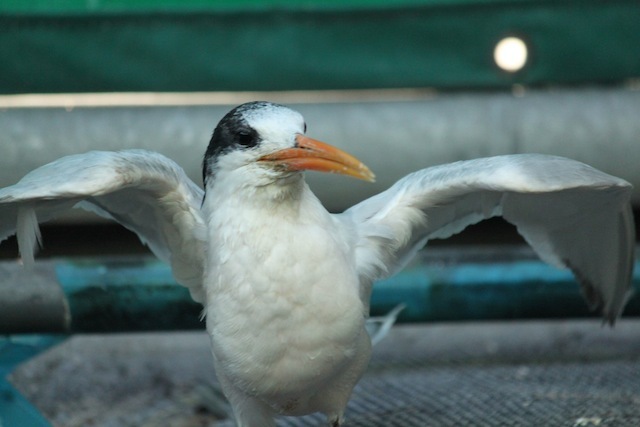 And International Bird Rescue’s centers have deep experience in caring for terns such as this one. For instance, in 2006 we raised many young tern survivors after dozens of nests were deliberately washed off a barge docked in Long Beach, Calif. To give these birds the best chance of survival, we released them at a tern colony in the Salton Sea, where they would be surrounded by other young birds learning to fish. 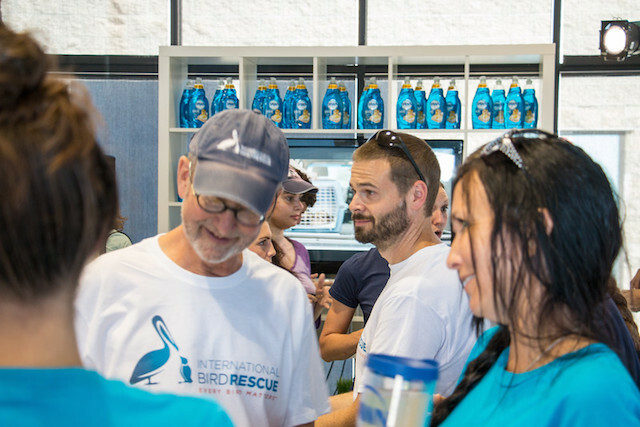 International Bird Rescue Members help us make this work possible, whether it’s carrying for bird victims of cruelty incidents or other injury types. If you’ve given in our fall membership drive, thank you so much. If you haven’t yet, please consider joining us – we’re closing in on our $30,000 pledge goal and need your support. 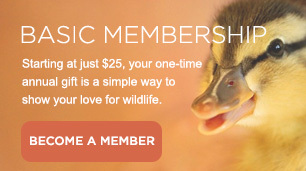 Any gift of $25 or more makes you a member. Anyone with information on the perpetrator or perpetrators behind this animal cruelty case should call U.S. 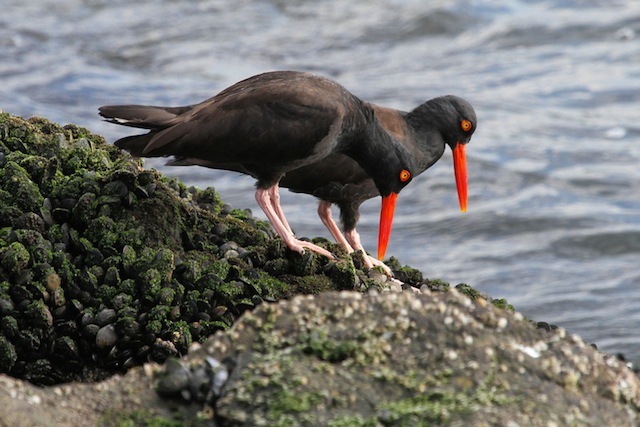 Fish and Wildlife Law Enforcement Offices in Burlingame, Calif. at (650) 876-9078. 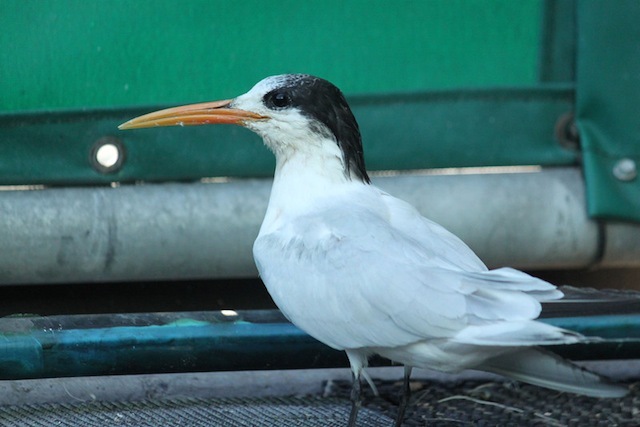 Elegant Terns are protected under the Migratory Bird Treaty Act. 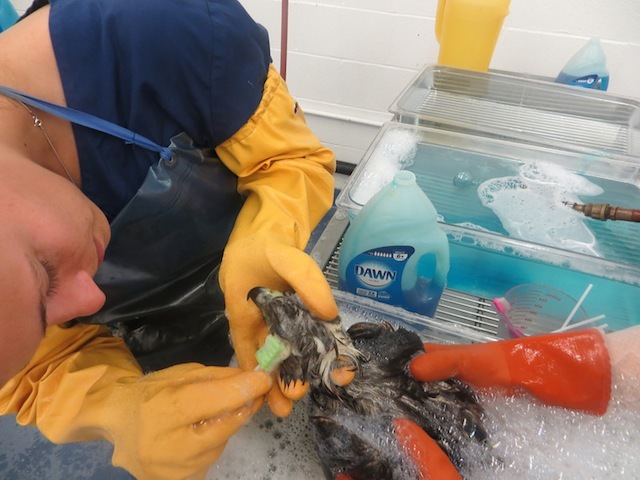 Meanwhile, our San Francisco Bay center is filling up with many other interesting seabirds in need of expert care, including this Surf Scoter (shown below), treated for a scalp injury of undetermined cause. 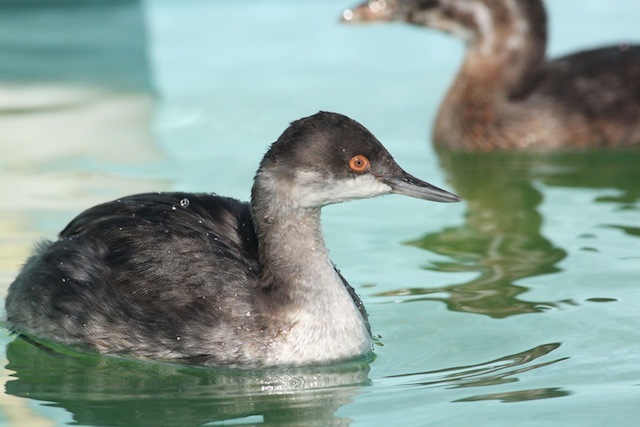 You can see his recovery live on our BirdCam, along with several murres and grebes sharing his pool. The fall membership drive: We’re almost there! 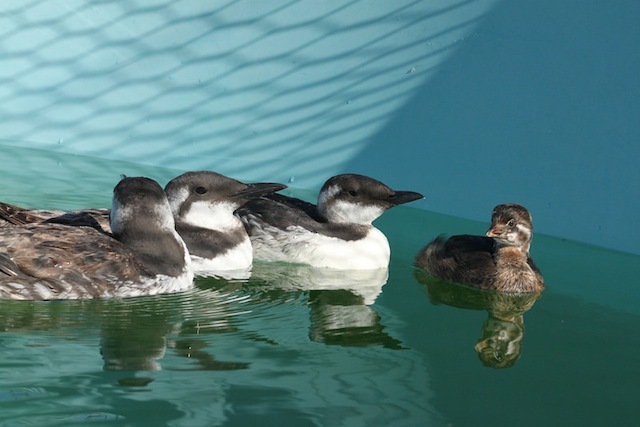 Common Murres and a Pied-billed Grebe share a diving bird pool at our San Francisco Bay center, photo by Cheryl Reynolds. Good news! We are nearly at the finish line for our fall membership drive. If you’ve already signed up, thank you so much for your support. As of today, we’re at 98% of our $30,000 pledge goal. This week, a few lucky new members will take home this Bird Cafe Feeder from our friends at Umbra! Click on the below buttons for sustaining member and basic membership info. 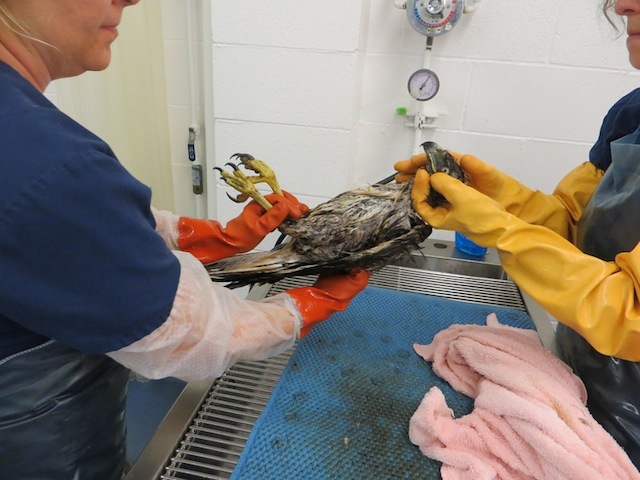 Last week, our Los Angeles center team washed an oiled Red-tailed Hawk, which was lightly sedated to minimize stress on the animal during the procedure. A photo of this wash posted to our Facebook page has become one of the most popular posts thus far this fall. Below are some additional photos of the process by Dave Weeshoff. 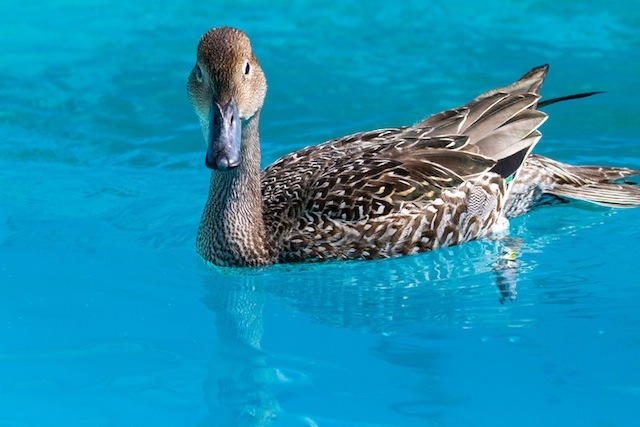 While we normally deal with oiled/contaminated aquatic birds, our team is equipped to handle many other species as well. 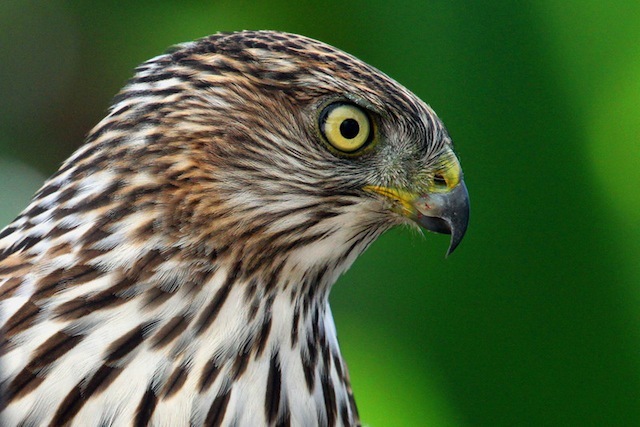 For example, nearly a year ago our Los Angeles center washed this Sharp-shinned Hawk that had been contaminated with glue trap material. 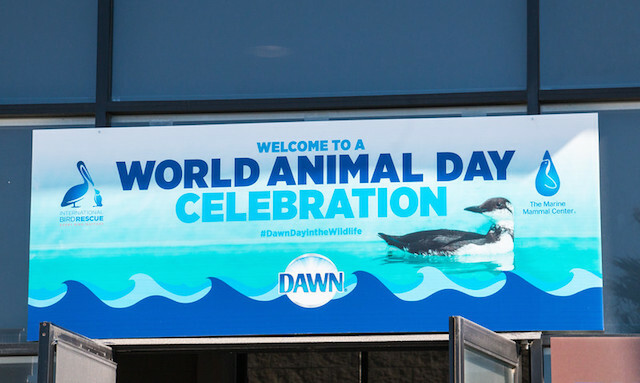 Thank you to our friends at Dawn Saves Wildlife for their generous support of International Bird Rescue and oiled wildlife around the world. 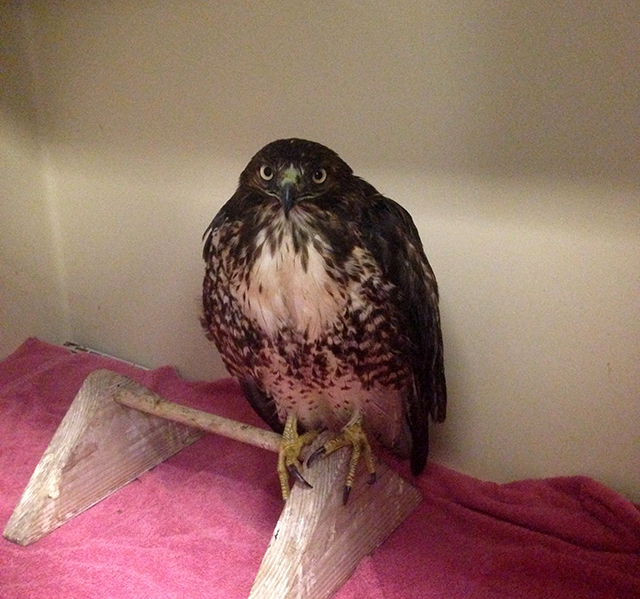 This hawk has since been transferred to a partner wildlife organization for further rehabilitation. 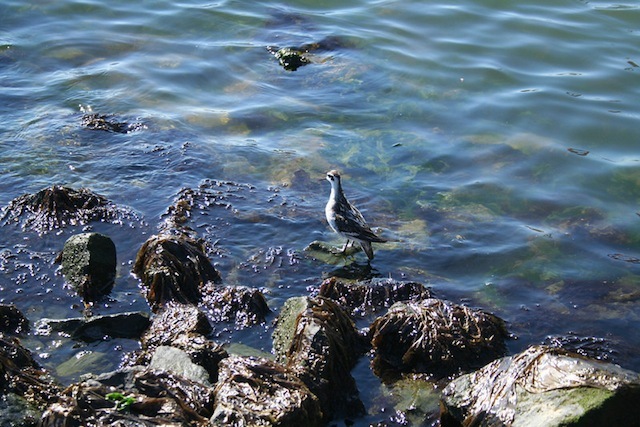 If you’ve been to our BirdCam Project page lately, you may have seen this Red-necked Phalarope. 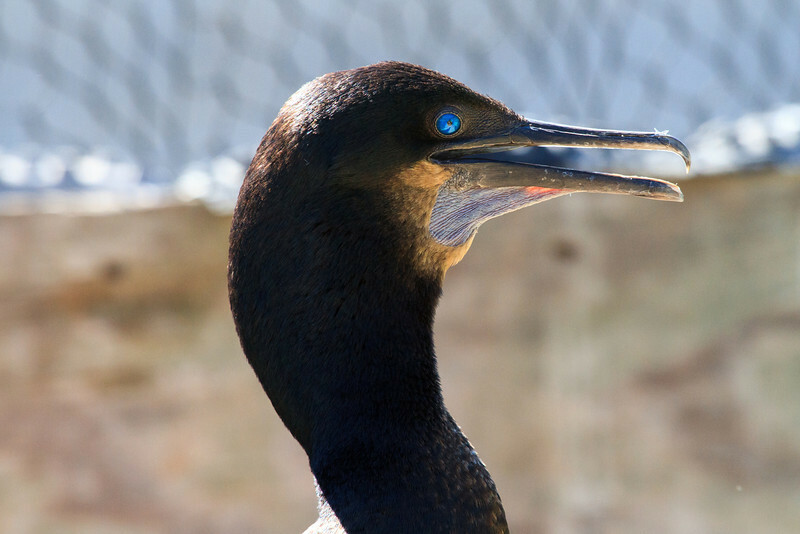 On August 29, the bird came into care at our San Francisco Bay center not holding its wing in a normal posture, and X-rays revealed a fractured coracoid. 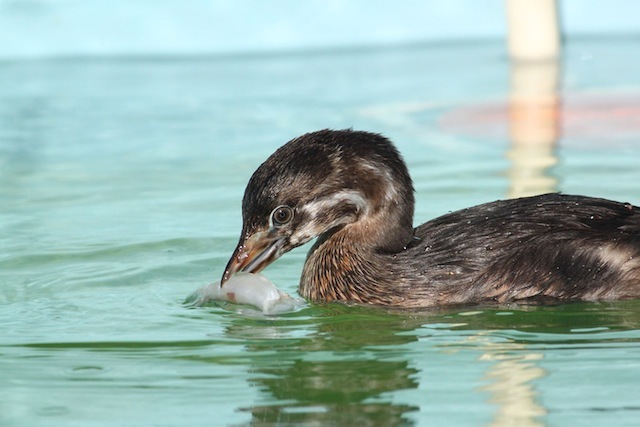 The wing was wrapped, and the bird was housed in a hospital pool during its recovery. 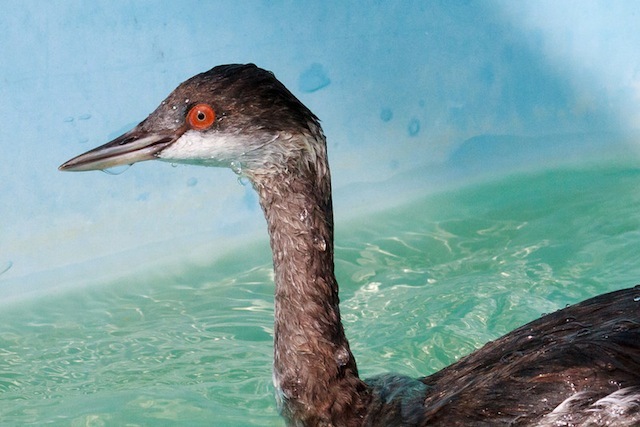 For a few weeks, many of you watched this bird in his pool, plucking small invertebrates from soda caps and dipping them into the water before eating. Once the wrap was removed, the bird held his wing in a normal posture and began to flap more and more normally. 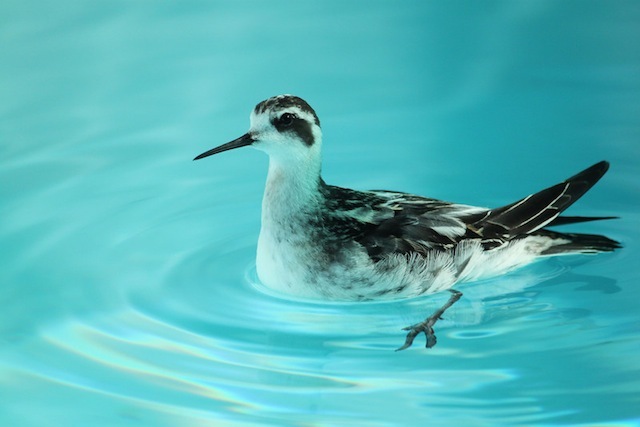 On September 19, this phalarope was beginning to fly, so we moved him to a large pelagic pool, where he began rigorously practicing flight. 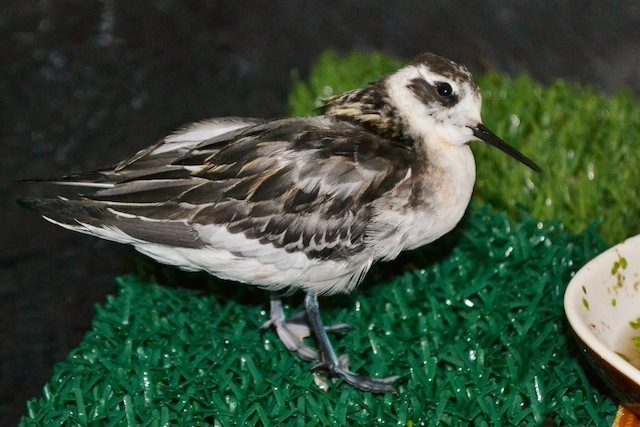 After this bird’s flight was evaluated (the phalarope was flying around the pool like a hummingbird, our staff noted! 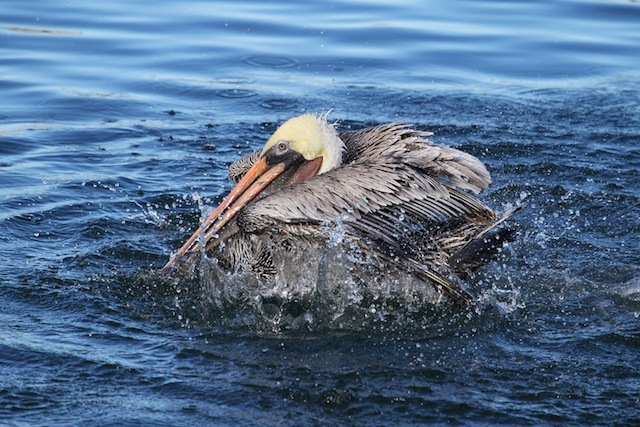 ), we released him at Ft. Baker in the San Francisco Bay. 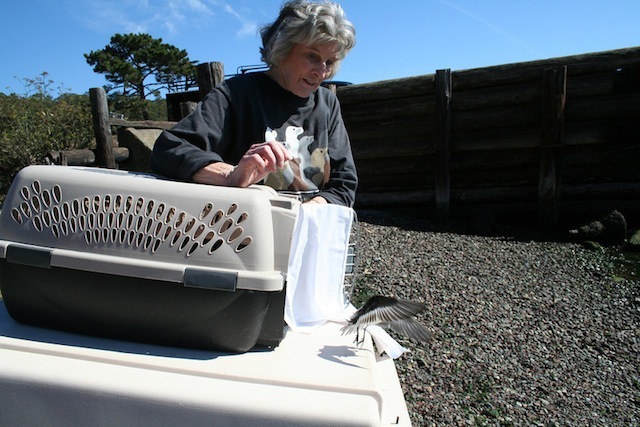 Here, Pelican Partner Janet Williams releases the phalarope after her pelican release. 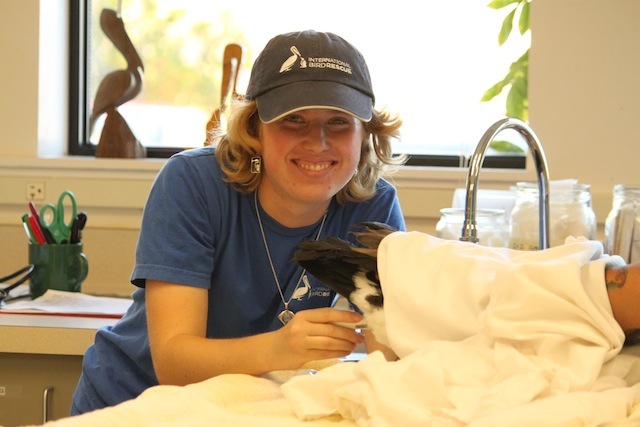 Hometown: I grew up in the San Francisco Bay Area, California, and am very fortunate to live close to International Bird Rescue’s Cordelia center! Education: I was homeschooled with my sisters all the way through 12th grade, and am currently a full-time student at the local junior college, where I am completing my undergraduate work. I know that I want to work in the field of avian rehabilitation, especially after my internship with IBR, but I am still exploring the different avenues available to me. I am considering becoming a rehabilitation technician, registered veterinary technician, or doctor of veterinary medicine. 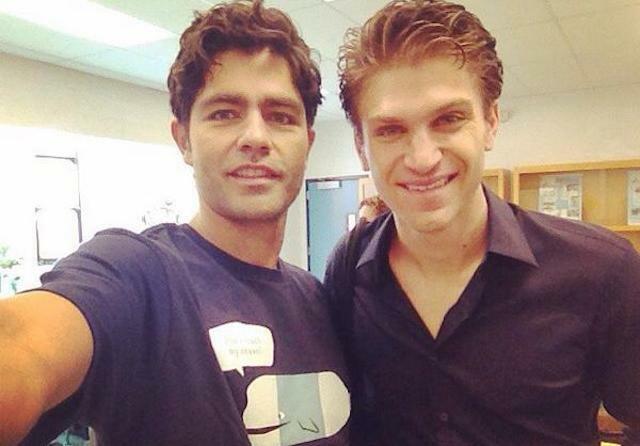 Right now I am leaning toward becoming a veterinarian. 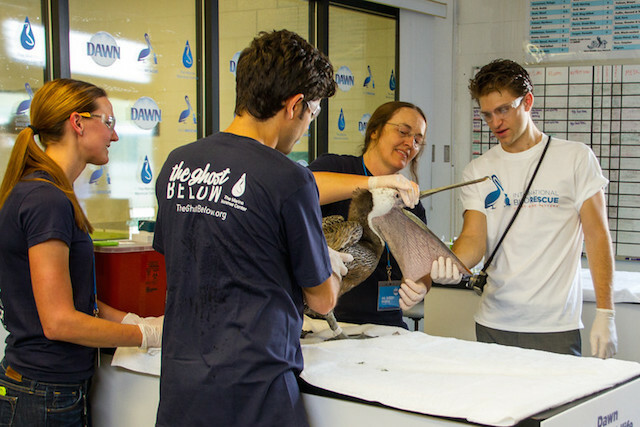 I plan to get my Ph.D.
How I got started: I originally decided to start volunteering at IBR because it would give me experience working with wildlife in a rehabilitation capacity, though at the time I was interested in becoming a cetacean biologist. It didn’t take long for me to absolutely fall in love with the animals, the work and the people. I never imagined two years ago that I would one day hold wild birds in my hands, administer medications to them, clean enclosures large enough for a person to live in, prepare fish, perform examinations and have the opportunity to learn from some of the most amazing people I’ve ever met. 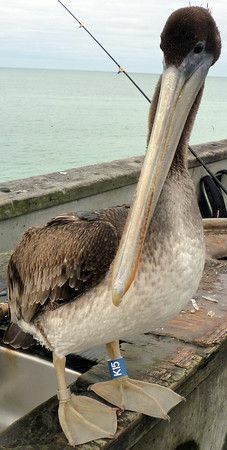 Favorite species: I have always been partial to birds with attitude, and yeah, that means the angry ones who try to bite you! I love it when a bird is really feisty, because that generally means that they have a good prognosis. 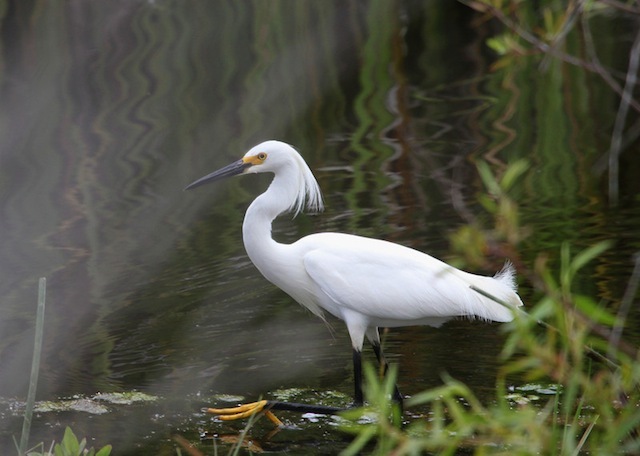 Green Herons are really cool, when you first open their cage they all point their beaks straight up into the air and are still able to look at you with both eyes, because they protrude a little. They are small, and some of the trickiest escape artists ever — so full of personality! Gulls are great, they really stick up for themselves. 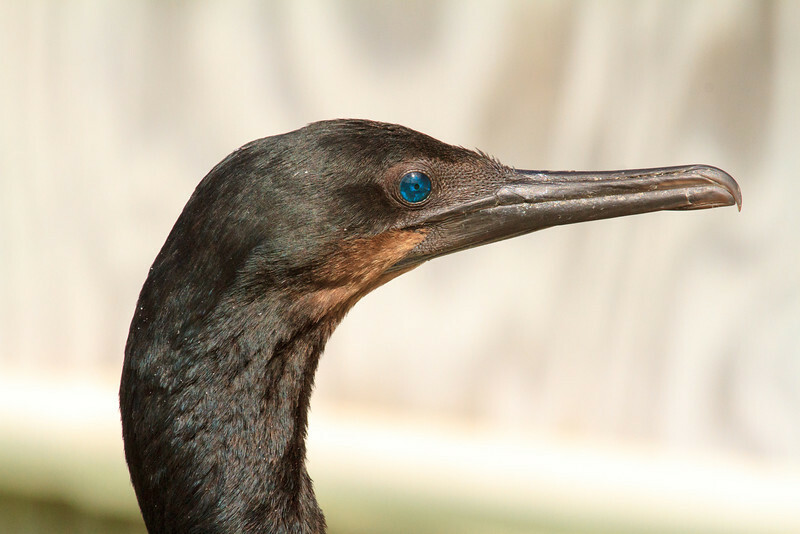 I love cormorants, they are really beautiful birds. 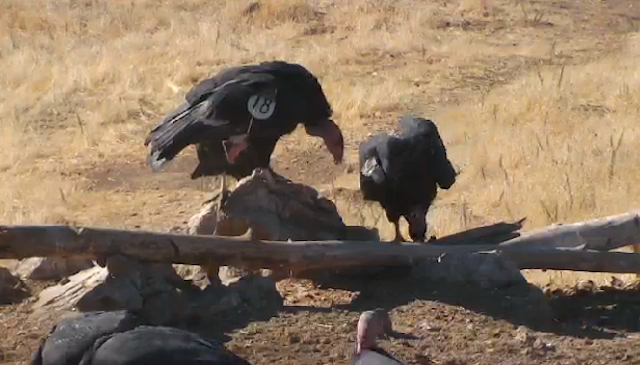 They also look at you with their beaks in the air and are very rambunctious! 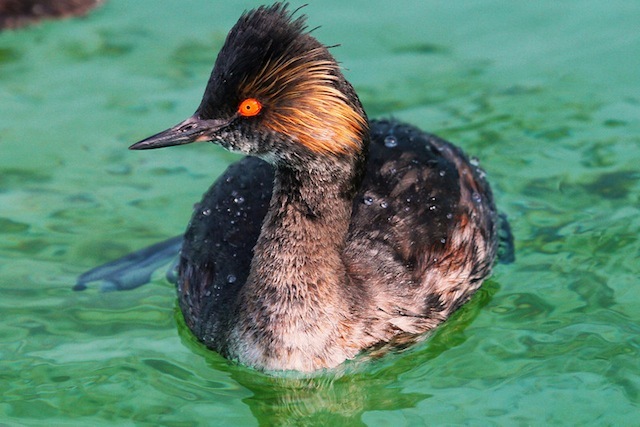 And grebes are fantastic, I love their lobed toes and the way they fold their feet and head into their feathers when they sleep! 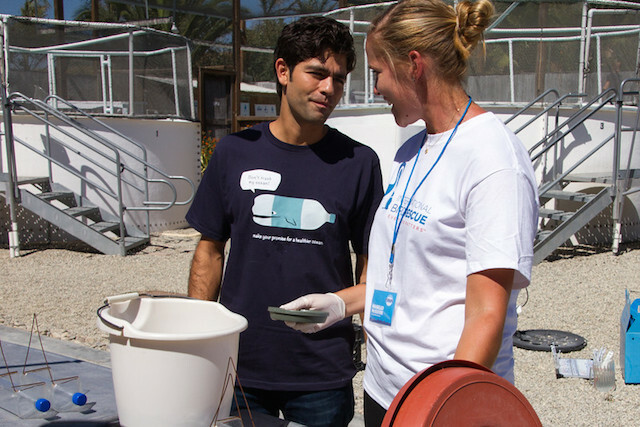 #SaveWildlife Advice: If you are interested in helping animals and being involved in their rehabilitation, volunteer! 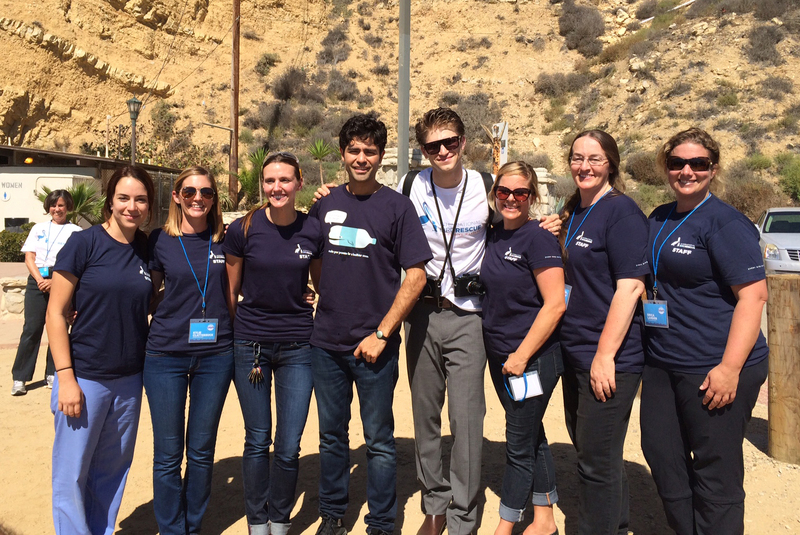 You’ll learn amazing things and get to meet incredible people who are passionate about the work that you are doing to make the world a better place. The people at IBR are incredibly dedicated, smart, kind, nurturing, funny and caring. The atmosphere is warm and delightful — a great bunch of people! 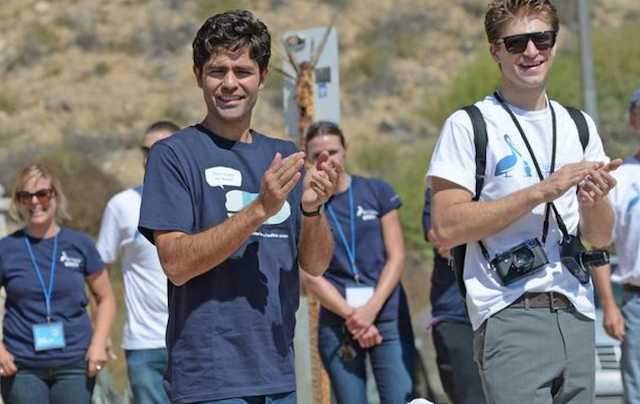 Don’t worry if you’re too young to start volunteering, you’ll get there soon enough. And in the mean time you can tour centers, research animals and talk to staff and volunteers from rehabilitation organizations. 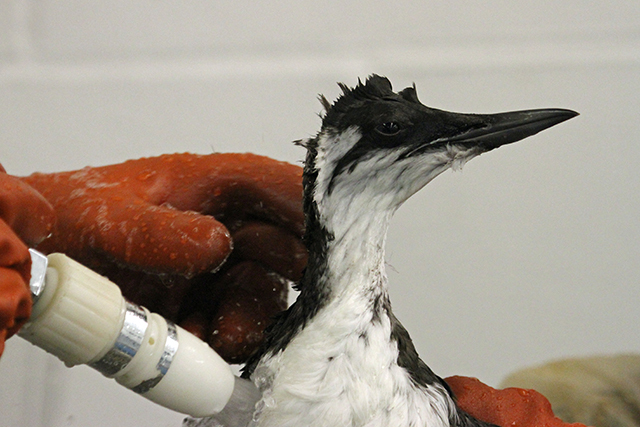 A great resource is the Oiled Wildlife Care Network (OWCN) website. They have information regarding oil spill response and rehabilitation. 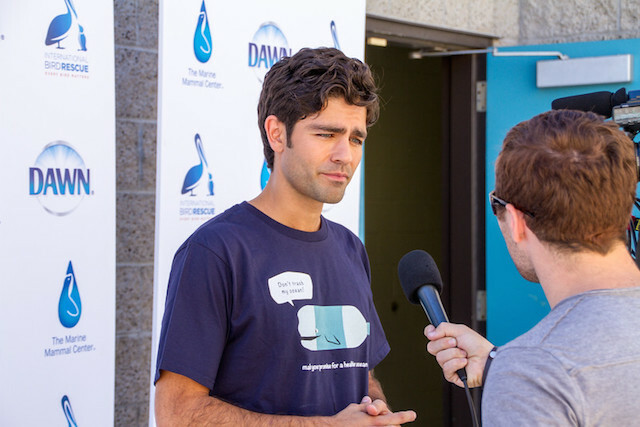 There is also a list of rehabilitation centers and organizations throughout the state of California that would be fascinating to learn about and visit! I hope that you are able to be a part of something that is as wonderful, surprising and thrilling as interning and volunteering at IBR! We welcome people from all countries to come and learn at one of our rehabilitation programs. Click here for information on our International Internship Program.